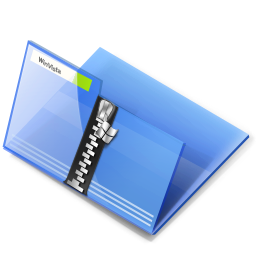 The trick below will helps you to create any number of nameless files and folders in windows. 1. Select any File or Folder or create new one. 4. Press Enter. Now the nameless folder or file has been created. Here what happened is, Actually, A folder is created with a single space. If you want to create one more nameless folder.. What to do? Yeah! Simply enter two spaces. 2. Hold Alt Key and press 0160 from the numpad. Release Alt key. Now do nothing. This will create a single space. 3. Now, again Hold Alt and press 0160 from the numpad and release Alt key. 4. Yeah! Press Enter and you have created second nameless Folder or File. 5. To create Another nameless folder, Again create or rename file and give three spaces. Also Find, How to Make it Invisible.